Many people know that they want to add “character” to their home, but what does that mean? Can you quantify that statement? Can you tell us exactly what you want to add to create that “character”? Most likely the answer is no; and that’s ok! Most of us can pick out a traditional-looking house, but can’t give specific details as to what gives it that special character. Architectural features and details can help define the character of the home in several ways: they add visual interest, help to determine certain building styles, and many times showcase superior craftsmanship. An Interior Designer solely focuses on the interior of the home (of course!). One of the most important ways to enhance the detail of your home is to revisit those generic wood baseboards. The Bees don’t like to see any baseboards shorter than 5” (6” is preferable!). By beefing up the baseboard, you create a datum level, or a place that grounds your eye. A chunky baseboard creates a calming effect by tricking your eye into thinking that the floor is “heavier”, as it should be! I love the first picture below (by Don Pedro Home + Design) because it shows the slight difference in height, but what an impact it makes! The other pictures are examples of the Bees projects, showing what a difference the height can make! Of course, baseboard molding can come in all sorts of styles; each style gives a slightly different look/effect. 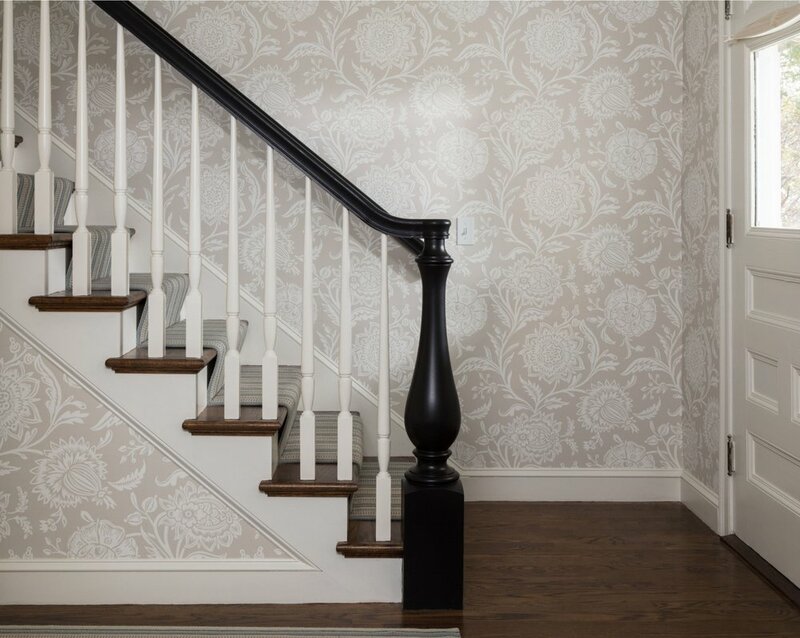 Whether you're looking for a Shaker Style or a more formal profile, the height should be at least 5” tall. 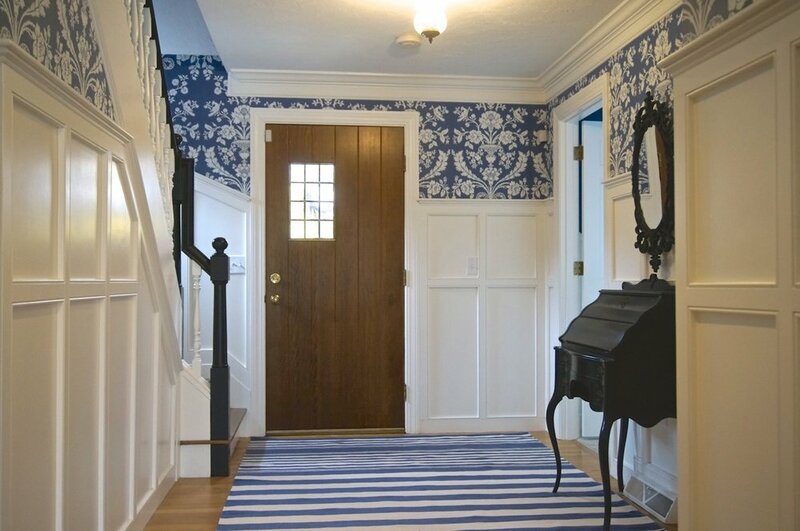 Wall paneling is another added feature that is making a comeback. Though some are more formal than others, each has a unique style and use. Yes, even shiplap... Notice the difference in paneling height in the Bee’s projects below, both give a different feel and use the Raised Panel method: the oldest and most traditional types of paneling. Of course, adding detail to ceilings is another win. If you have the height to play with, then by all means add a rustic wood beam or a coffered ceiling. Keep in mind, if you’re trying to stay within a specific architectural time period, know that rustic beams tend to be Early American and a coffered ceiling adds a more formal look. If you’re trying to create a “fresh” take on an antique coffered-look, painting the inner ceiling in a contrasting color is always an unexpected and fun detail. We say it again and again, it’s all about the details. Still not sure? Ask the pros! Interior Designers are skilled at determining the style you’re going for and can help you navigate unfamiliar waters…utilize their vast knowledge and resources. That’s what you’ve hired them to do! Ok, now we need to ask you: what’s your favorite, unexpected detail that you’ve seen? And don’t forget to follow our blog by subscribing here!